What about renting a cottage like Le Clos des Brumes next time you have the chance to get out of the city? It allows you to discover something new, by experiencing Quebec authentically, renting a 300-year-old cottage in the heart of Canada’s first official village. 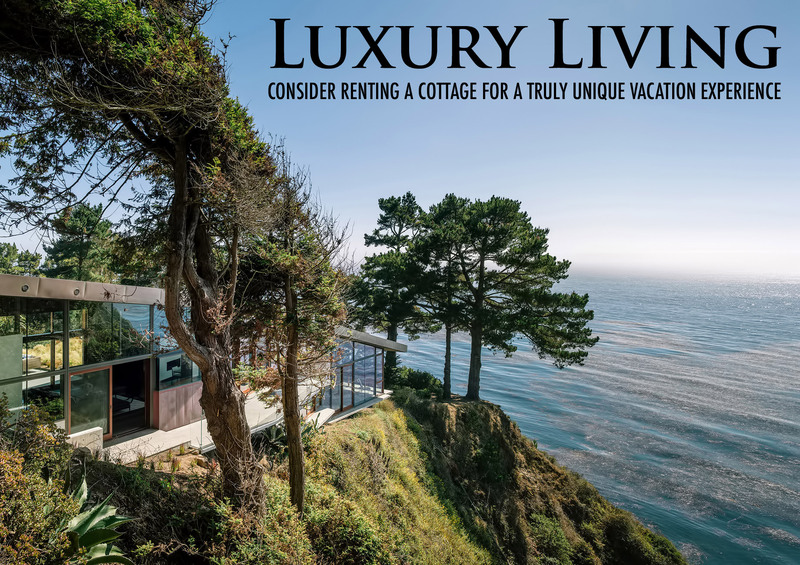 Or if a California seaside vacation is calling you, then a stay at The Cottage at Muir Beach might provide for an amazing experience. As with most vacation ideas, you can begin your search on the internet for the perfect cottage, in the perfect location. If a particular cottage catches your eye and there is an entire website dedicated to it, it’s highly likely that the owner means business. A dedicated website should also provide you with answers to a lot of questions you may have (ranging from prices and availability to amenities), and if you need more information, you’ll probably have multiple options to contact the owner. Sometimes going off the beaten path results in the best experiences we have in life, so don’t be surprised if that perfect cottage rental comes with a steep price. The prices posted are usually on a nightly or a weekly basis and are heavily influenced by the season you’re looking at. That means that if you’re tight on the budget, you should look for a cottage well in advance in order to time your vacation during the locations off season. What do you fancy? Perhaps it’s a mountain getaway in Canada, a California beachside retreat or you might want to experience the magic of Ireland? The key factor in your vacation planning is location. Whether it is a quick trip to a lakeside cottage nearby or an adventurous international excursion to a foreign destination, location will influence the overall cost. Unless you already have a specific location in mind, spend at least as much time researching the region where the cottage is located as the actual place itself. With a bit of luck and some good planning, you should be able to go outside and enjoy the weather during your vacation, but what happens if Mother Nature is not on your side? What will you do, then? Are there any board games, movies or an internet connection at the Cottage? If you are close to water, what will you actually be able to do? Is there kayaking, canoeing or jet ski’s available? Are there hiking trails nearby? Can you go for a walk or ride a bike? You need to have all this figured out beforehand, so do your research before making a final decision. Don’t assume that rental cottages always come equipped like regular homes, because some of them are purposefully designed for roughing it outdoors. A missing item here and there is not a big deal, but you don’t want to spend a significant part of your vacation running out to get things that you thought were included. Have you ever been in a situation where you needed a can or bottle opener and it is nowhere to be found? Better be safe than sorry, always ask the owner/caretaker exactly what is and is not available at the Cottage before you arrive.